After being delayed to 2017 last year. Stop me if you've heard this one before. The last we'd heard of Overkill Software's The Walking Dead tie-in—a co-op FPS "with elements of action, role-playing, survival horror, and stealth"—it had been delayed from 2016 into the second half of 2017. Well it's just been delayed again, this time until the second half of 2018. The announcement was made over on Starbreeze Studios' website (Starbreeze owns Payday developer Overkill, by the way) and while you can view the rest of the site in English, the delay post is only available in Swedish, which I am...less than fluent in. Helpfully, Google's auto-translate feature is around to convert the text into something resembling English, the gist being that the delay will allow the game to "reach its full potential". 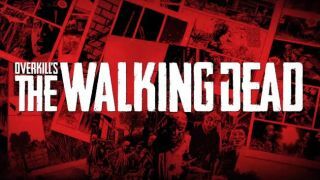 Meanwhile, if you tune into Starbreeze's Twitch channel on May 10, you'll be given "an insight into the development of Overkill's The Walking Dead", which hopefully means we'll finally be shown some footage. Thanks, Blue's News and VG247.